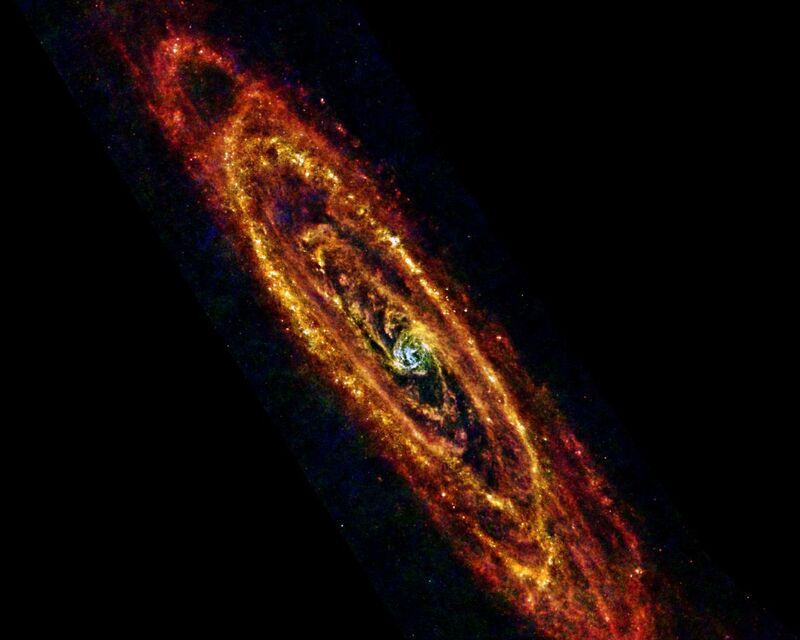 In this new view of the Andromeda galaxy from the Herschel space observatory, cool lanes of forming stars are revealed in the finest detail yet. Herschel is a European Space Agency mission with important NASA participation. 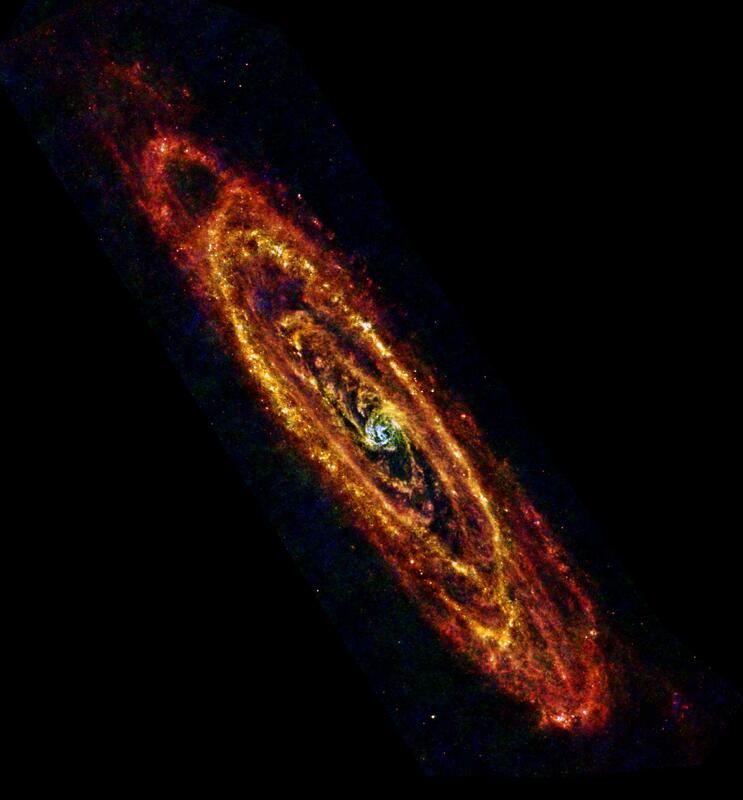 Andromeda, also known as M31, is the nearest major galaxy to our own Milky Way at a distance of 2.5 million light-years, making it an ideal natural laboratory to study star formation and galaxy evolution. Sensitive to the far-infrared light from cool dust mixed in with the gas, Herschel seeks out clouds of gas where stars are born. The new image reveals some of the very coldest dust in the galaxy -- only a few tens of degrees above absolute zero -- colored red in this image. Herschel is a European Space Agency cornerstone mission, with science instruments provided by consortia of European institutes and with important participation by NASA. NASA's Herschel Project Office is based at JPL, which contributed mission-enabling technology for two of Herschel's three science instruments. 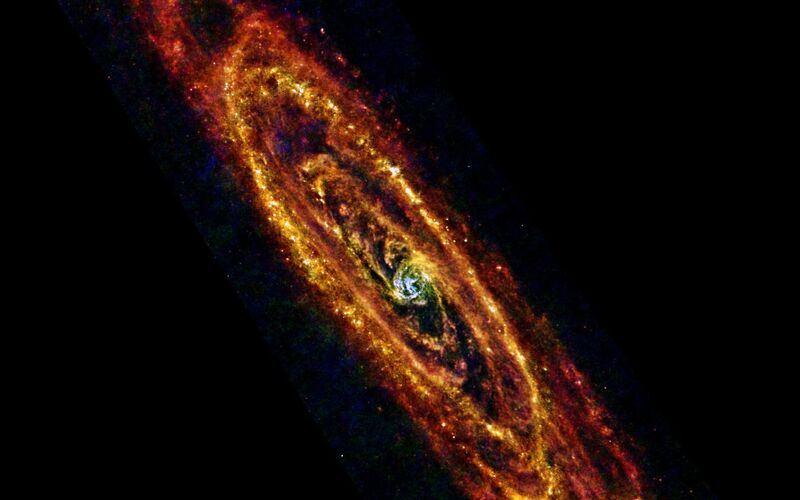 The NASA Herschel Science Center, part of the Infrared Processing and Analysis Center at Caltech, supports the United States astronomical community. 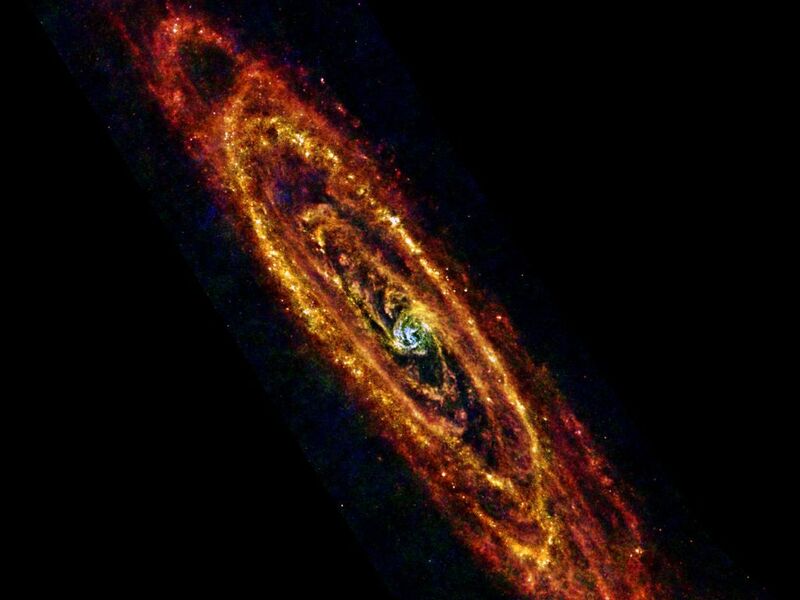 More information is online at: http://www.herschel.caltech.edu, http://www.nasa.gov/herschel, and http://www.esa.int/SPECIALS/Herschel/index.html.